Hatch chile does not exist. The New Mexico Chile Association (NMCA) would love for you to believe there really is a Hatch chile, but what’s in a name? Real New Mexico (NM) chile is not the same as “Florida Oranges” or “Idaho Potatoes.” Neither state has native oranges or potatoes. NM has landrace chiles locally adapted from seed saved for over 400 years. These chiles are named after the geographic areas where they are grown. New Mexico State University (NMSU) developed modern chile varieties for the chile industry, primarily used in processing and grown predominantly in the southern part of NM. These seeds are not saved. 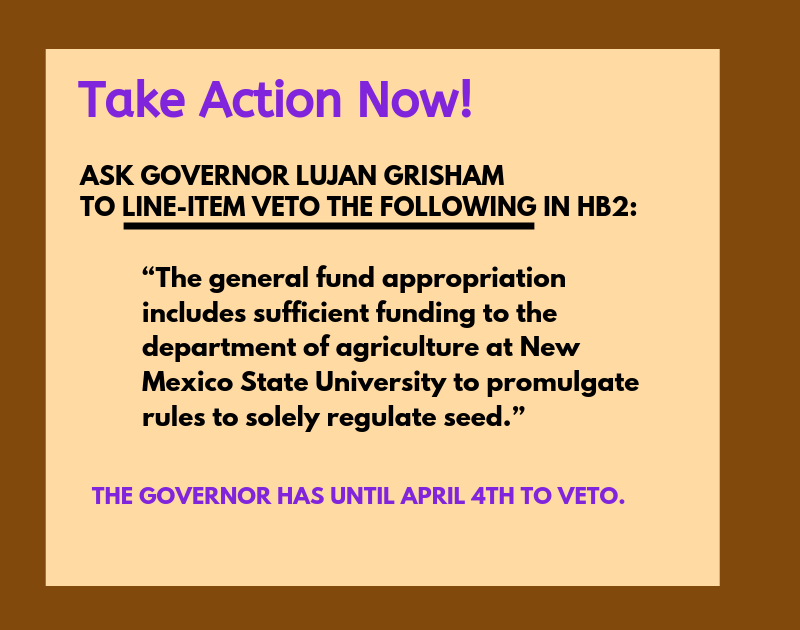 Save NM Seeds is not opposed to supporting NM grown chile but to the laws introduced and passed for the benefit of the NMCA and NMSU. Sales of landrace chiles, sometimes called “chile nativo” (native/pueblo chile), are doing phenomenally well at local farmers’ markets and roadside stands. 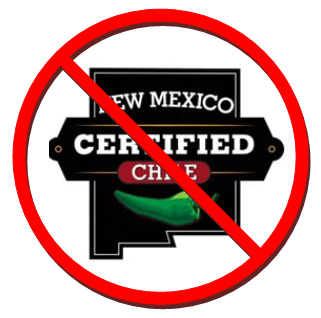 If the NMCA wants to create a certified trademark for their “New Mexico Chile,” it should be a strictly voluntary program and not impede on local growers’ freedom to farm. In 2011, a bill called “The New Mexico Chile Advertising Act” was introduced on behalf of the NMCA by Senator George Munoz from McKinley County. The NMCA is comprised of chile industry processors and businesses, some of whom also have operations in Texas, Arizona, Mexico, and elsewhere. Enacted in 2012, the bill made it “unlawful for a person to knowingly advertise, describe, label or offer for sale chile peppers as NM chile…, or a product as containing NM chile, unless the chile peppers . . . were grown in NM.” This law defines “New Mexico chile” as “capsicum annuum, which includes all types of peppers such as jalapenos, Italian sweet peppers, yellow hots, etc. The law allows for 5% of non-New Mexican chile to be included. In August 2014, the NMCA trademarked the term “New Mexico Certified Chile” for use solely by their members. Their press release states that this certification “program builds on this legislation (NM Chile Act), giving consumers confidence that they are using the finest New Mexico Chile.” The NMCA is holding hostage the farmers’ right to refer to their chile as “New Mexican,” and the right to call it by its varietal name, unless you register. Yet now the NMCA has trademarked the very name of the state. Farmers who have traditionally grown chiles in New Mexico for centuries are justifiably outraged. The public posture of NMCA is that they are presenting the truth. But the tactics they have used are anything but honest. At the hearing of the amended Chile Act in the Senate Judiciary Committee in 2012, Chairperson Sen. Richard Martinez announced the committee would recess at 6 pm and called out the bills to be heard that night. The chile bill was not mentioned. The committee did not end at 6 pm. The vice-chair, Sen. Joseph Cervantes, continued the hearing and the bill passed. Sen. Cervantes’s brother is the current NMCA Board President, Dino Cervantes, who hypocritically plants more chile acreage in Mexico than in New Mexico. The NMCA lobbied vigorously in opposition to the GMO labeling bill presented in the 2013 legislative session, arguing that it was unnecessary regulation. Yet they want to regulate, place burdensome paperwork and verification requirements on small non-industry growers, tracking every sale and location of farms. This law is another block in an entire construct of laws designed to control who owns chile, and to regulate how it is grown, shared or sold. NMSU is developing a genetically engineered chile for the NMCA, using traits from our landrace chiles. NMSU receives taxpayer funding (on behalf of the NMCA) for research, will own the seed patent (on genes taken from the public domain), regulates and knows the location of chile farmers (through enforcement of the NM Chile Act by NMDA), and certifies the seed (NMSU Seed Certification Office). It is wrong to use taxpayer money, including tobacco settlement funds, to prop up one troubled industry at the expense of local viable economies. The NM “True” is continued impoverishment of New Mexicans through mandatory registration of people simply growing food to feed themselves. 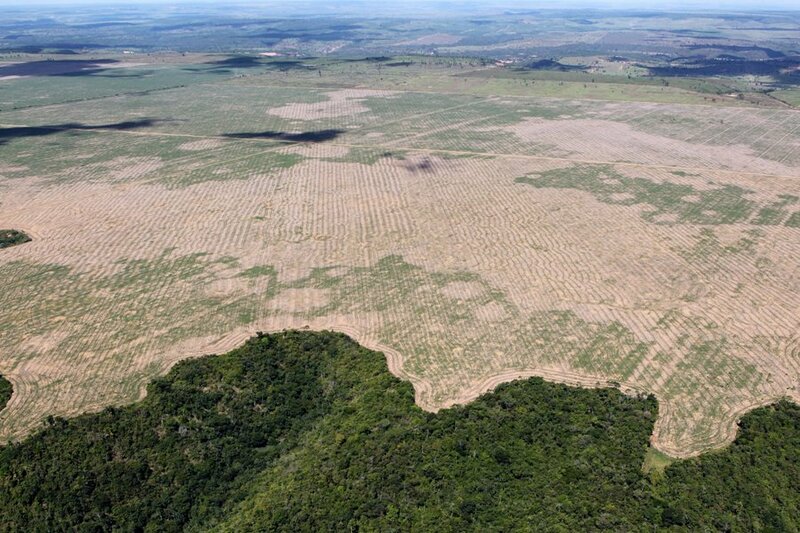 Please follow us on www.savenmseeds.org for notice when the first hearing will take place. Once we know the date, we ask that you call the committee members asking for their support. Next Next post: Organic and genetically engineered technology (GE) can’t coexist.